We are proud to offer the availability of our “2D to 3D” conversion service for photographs. Using proprietary software technologies developed specifically for this purpose, our artists convert your photograph into a partial 3D image (front side only) adding shape and depth. 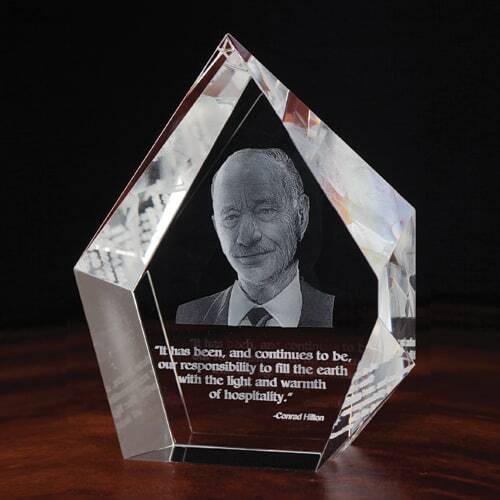 Perfect for a personalized 3D laser engraved crystal gift or award!